For all the nighttime rollers, after-dark hunters, and general shooters out there, a thermal rifle scope is an invaluable tool. With its sight set to pierce even the blackest, moonless nightscape, you are sure to hit the wildest of the big games with one of these mounted on your barrel. But how can one choose from the myriad of sights available on the market? Fear not for the following small guide will take you through everything that you need to know in order to get a proper setup. The choices are many and the time is short, so let’s buckle up and jump into the wild adventure ahead. What will you choose for your thermal rifle scope? How Does a Thermal Rifle Scope Work? Although a scope generally employed at night, it can very successfully be used during the day. A thermal rifle scope utilizes advanced thermo-imagery scanners to detect heat signatures in the line of sight. This ensures the hunter will spot their game irrespective of the surrounding conditions. It can rain or snow, fog may cover your sight or the field may be covered in smoke; for a thermal imaging rifle scope, it simply does not matter. You’ve also probably heard of other sophisticated rifle scopes such as the infrared rifle scopes. Keep in mind that these pose a slight disadvantage over the thermal scopes. While the IR scopes feature an IR illuminator that does the trick, the thermal scanner of the thermal rifle scope doesn’t. Thus, it’s far less intrusive than the infrared rifle scope, keeping the target in clear sight while making sure the hunter doesn’t become the hunted. Furthermore, remember that a thermal rifle vision scope is not necessarily the same as a thermal night vision rifle scope. 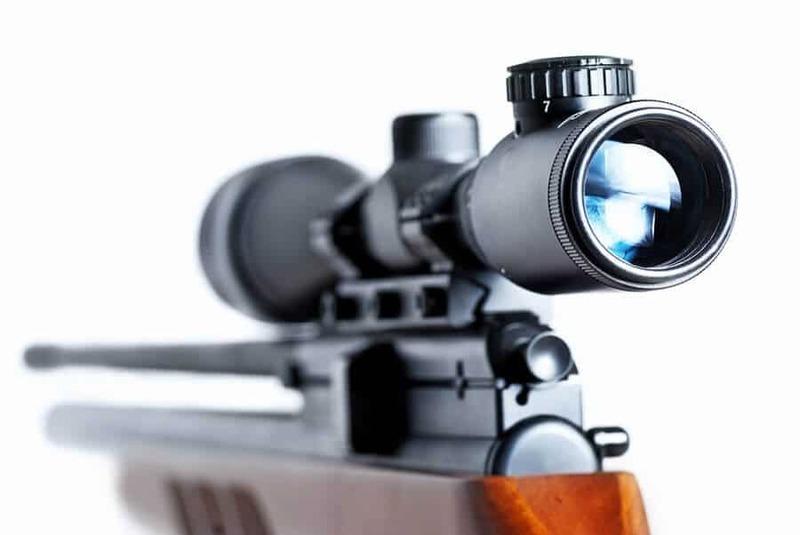 Most every thermal rifle scope for sale features electronic reticles making for a more precise sighting of targets. A typical scope can be powered either by AA batteries or by a built-in rechargeable battery. Poor contrast. Some reticles are so bright that they single out all the light and you get a weird luminosity on the outside. When aiming for your next scope, make sure the light of the electronic reticle is on the mild side. Poor quality. Tempted as one may be to go for the cheapest scope on the aisle, it’s clearly not a good choice. Seeing as they often are cheap versions of some famous rifle scope, they may even damage your eyesight if not fine-tuned properly. Poor temperature range. Some thermal imaging rifle scopes trick you into thinking they are up to the task. Not so. Even more expensive thermal rifle scopes can mislead you. Always test your new thermal scope before purchase – first, find an expensive one to use as a benchmark and then test your desired scope. If the contrast and brightness is off, chances are this scope is thermal just in theory. 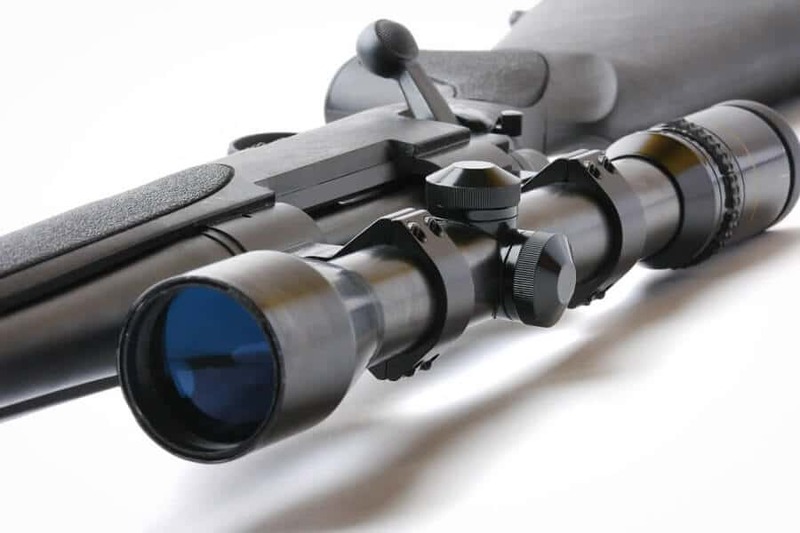 A very cool feature for many rifle scopes out there, external outputs are featured on just about any thermal rifle scope due to their electronic system. Thermal scopes with external outputs can even be used for surveillance without being mounted on the gun. Isn’t that the perfect way to disguise your surveillance equipment? Few people would suspect that a rifle scope lying around would be recording. Output to monitor. Some thermal scopes can send the signal directly to a monitor. This can be a very useful feature for special ops or the police. For amateur rifle owners, sending the signal to a monitor can prove useful in more situations than you may think. Output to flash. While important for law enforcement officials as well, this feature may be more friendly to the average home-defender or hunter. In the first scenario, recording the shoot to a flash drive can prove a good piece of evidence that the shooter was acting in self-defense. Secondly, a hunter could make use of this feature in order to mount an impressive video catalog of all their games. AA Batteries. The most basic of thermal scopes only feature AA battery slots. This is not ideal yet can be great if you care to stock up on those obsolete power cores. Rechargeable lithium battery. Lithium-ion and lithium-polymer batteries are the best. Everything portable today is powered by these rechargeable wonders. We suggest going for lithium polymer ones as they are newer than the lithium-ion ones. Both AA Batteries and rechargeable. Some of the more expensive thermal scopes feature both options – making them the perfect suspects for your next hunting session. Charge the battery to the max and pack a few AAs and you can extend your trip as much as you like. Some thermal scopes can be recharged directly from the car plug. This is great for hunters who like to take their trucks with them so they can carry their kill more easily. Un-cooled thermal scopes. The more common of the lot, these rifles scopes are made to operate at room temperature. Their infrared elements are separated but not cooled down. Cons: low sensitivity to heat. Cryogenically cooled. These have their infrared detector components sealed into a container which constantly cools them to zero degrees Celsius, which is about 32 F.
Pros: extremely sensitive to heat variations over long distances. Cons: we couldn’t find any. While your actual choice may be up to the situations you may find yourselves in, I can say that I prefer the cryogenically cooled since they can offer me a clear view of what the person in front of me is holding in their arms (i.e. another gun). So what would you choose as your go-to thermal rifle scope? Remember that the situations we face out there in the wild clearly determine what accessories we will be needing. Always consult an expert before making a purchase. Let us know which thermal rifle scope you decide on buying! 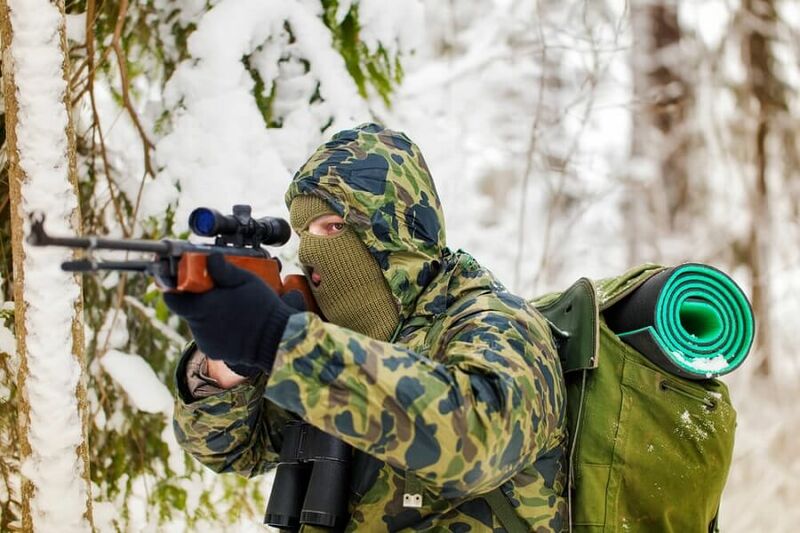 Hey Buddy!, I found this information for you: "Thermal Rifle Scope Hunting – Which One’s for You?". Here is the website link: https://thegunrights.com/thermal-rifle-scope-guide/. Thank you.